ORGANIZATION GOVERNMENTTo implement the three vocations for the Order, spirituality, charity and tradition, the Grand Master uses the power entrusted to him by the General Chapter and confirmed by the Protectors. In order achieve this he may delegate power by appointing Grand Officers, members of the Grand Magistry and Heads of Jurisdiction in the countries where the Order operates. The Grand Master is the supreme commander of the Order. The Constitutional Council interprets the rules, statutes and the Constitutional Charter of the Order. It arbitrates disputes between branches of government, the Jurisdictions and members. The Governing Council represents the national Jurisdictions. The General Chapter allows the delegates to express the views of the members. The Grand Master is the supreme commander of the Order. He is elected at the General Chapter by an absolute majority. He must be a member of the Order, a Catholic in good standing with the Catholic Church and the heir to a noble family. He remains in office until the day of Pentecost in the year of its 75th birthday. He then becomes the Grand Master Emeritus. 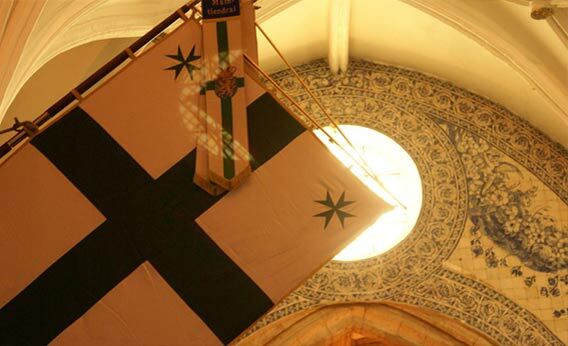 The Grand Master is the legal representative of the Military and Hospitaller Order of Saint Lazarus of Jerusalem and ensures three vocations of the Order: spirituality, charity and tradition. He works for the development and prosperity of the Order. In this he is assisted by members of the Grand Magistry. To implement the three vocations for the Order, spirituality, charity and tradition, the Grand Master uses the power entrusted by the General Chapter and confirmed by the Protectors. He may delegate this authority by naming Grand Officers, members of the Grand Magistry and Heads of Jurisdiction in the countries where the Order operates. Only the Grand Master himself has the authority to admit or promote a Knight, a Dame or a priest in the Order. Nobody can be admitted to the Order if the Grand Master objects. Since his election on 20 November 2010, the 50th Grand Master of the Order of Saint Lazarus is Jan Count Dobrzensky z Dobrzenicz. The Grand Master of the Order of Saint Lazarus assumes the functions given to a Master General or an Abbot General of a religious order, as he has done throughout the history of the Order. In this role he is supported by members of the Order whom he appoints as advisers at the international level, giving them the title of Grand Officers: they form the Grand Magistry. The role of the Grand Magistry is to allow the Grand Master to fulfil his task of implementing the three ends of the Order: to help the most disadvantaged, to contribute to Christian unity and to maintain the traditions of chivalry. The Grand Prior Spiritual : In respect of ecumenism and Christian unity, the Grand Prior Spiritual implements the spiritual guidance provided by the Grand Master in accord with the wishes of the Spiritual Protector. The Grand Prior Spiritual writes spiritual messages, text for reflection; he also offers retreats and pilgrimages. This function was performed by Mons Boz, the Greek-Melkite Catholic Patriarchal Exarch, until his death. We pray for him. The Grand Chancellor : Assists the Grand Master. 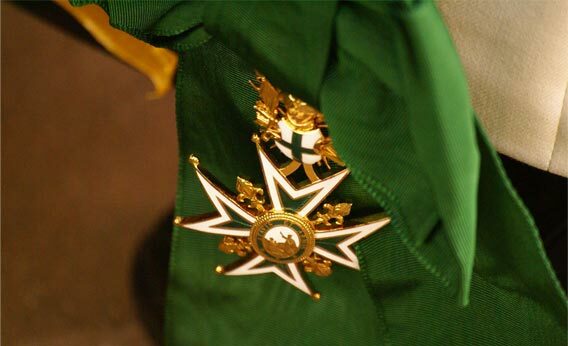 Within the Order, he ensures that the advice of the Grand Officers, in the Grand Magistry, and the Heads of Jurisdiction is in line with the objectives and values ​​of the Order. In conjunction with the Grand Master and in accordance with the Constitutional Charter, the Grand Chancellor prepares and implements all decrees. He ensures their strict enforcement. By the decision of the Grand Master, this role is not currently provided for. The Grand Capitular :He maintains the traditions of the Order, consulting on the Order’s history and tradition. He conducts research, drafts reference documents and maintains the archives. 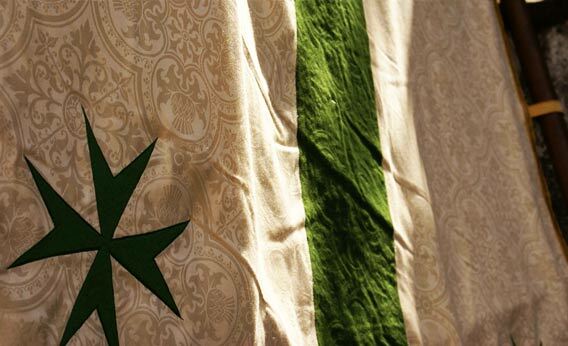 The Grand Capitular is consulted for guidance in the drafting of rules and statutes, ceremonials, the creation or modification of insignia, uniforms and flags, standards and banners. The Grand Capitular is His Excellency Lieutenant-Colonel (ret) Philippe Jourdain. The Grand Hospitaller : He implements charitable activities of the Order, representing one of the major objectives of the Order today. He is in contact with all the Hospitallers of various national Jurisdictions to coordinate their activities. He works on international projects and provides a valuable contact with various international institutions to carry out the Order’s charitable projects. The Grand Hospitaller is His Excellency Chevalier Giovanni Ferrara. The Master of Ceremonies : He is the Head of Protocol; ensuring that the various international ceremonies abide by the historic customs of the Order and are in the spirit of chivalry. The Master of Ceremonies maintains the protocol manual, and is a real technical guide for all national or international meetings of the Order. He also gives instructions on the wearing of uniforms, insignia and decorations. The Master of Ceremonies is His Excellency Chevalier Wayne Pathurn. The Grand Secretary : He sets up and monitors all administrative functions of the Order to allow it to operate well. He provides an administrative contact, distributes information, collects requests for admission and promotion, keeps a record of all members of the Order, forwards announcements to the Jurisdictions, including decrees and brevets, monitors the manufacture and creation of insignia and the preparation of international events of the Order. The Grand Secretary is His Excellency Chevalier Matthew Jackson. The Grand Treasurer : He manages the finances which are essential for the proper functioning of the government of the Order. He also provides the financial resources of the Order and the management of all property, movable and immovable. He controls all the international contributions, the funds of the Grand Magistry, the annual budgeting and ensures a solid programme for risk prevention. The Grand Treasurer is His Excellency Chevalier Nigel Sterland. The Governing Council is the representative body of the Heads of Jurisdiction to facilitate dialogue and decision making between the Grand Master, the Grand Magistry and the members of the Order. It transmits and explains the decisions of the Grand Master and Grand Magistry. The Governing Council informs the Grand Master and the Grand Magistry, of all questions and concerns of the members of the Order in each Jurisdiction. Thus the Governing Council plays an important role in order to allow all members from each of the Jurisdictions to understand and adopt the decisions of the Grand Master and express their questions or concerns. The Governing Council is the natural vehicle of communication within the Order. This communication must go through the Jurisdictions to the Grand Master and from the Grand Master to the Jurisdictions. The Governing Council is convened by the Grand Master, by its President or at the request of two thirds of its members. The President of the Governing Council is H.R.H. Prince Charles-Philippe d’Orléans and his vice-President is The Much Honoured Baron of Fetternear. They have both been reelected for these positions in 2016. Legal advice is essential for a modern international Order. The Constitutional Council is a recent creation, arising from the desire to preserve the legal integrity of the Order as part of its global harmonization. The Constitutional Council is responsible for the interpretation of the Constitutional Charter, regulations and ordinances of the Order. It monitors the electoral process, judges the discussions and verifies the legal texts in conformity with the traditions and character of the Order. The commission centralizes international communication to ensure consistency and transparency. It is responsible of the website and an internal international journal. Several organizations are working under the auspices of Saint Lazarus and with the same name. This is the result of splits in the past. These groups are working with the Order to unite and create one organization, which is stronger and more ambitious. The commission aims to work on this reunification. It is important to regulate the manufacturing, shipping and purchasing of Insignia within an organization such as the Order of Saint Lazarus. 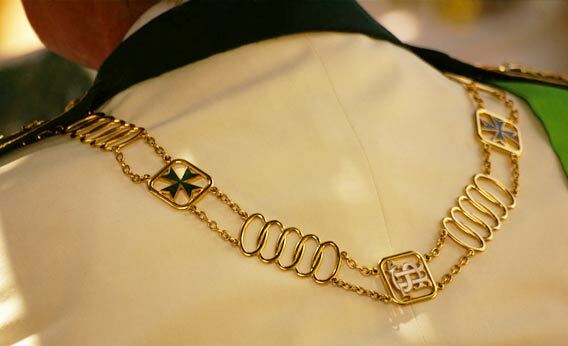 The commission aims to work on all aspects within the insignia of the Order. The Grand Master often asks advice from qualified people, members of the Order of Saint Lazarus or non-members. They are experts in specific areas and their skills contribute positively to the Order. H.E. Chevalier Bruce Sebree, USA. H.E. Chevalier Paolo Sabbatini, Italy. H.E. Chevalier Hon. Cons. General Wolfgang Breitenthaler, Austria.